Here’s the first official artwork for Blizzard’s upcoming real-time strategy title Heroes of the Storm. Posted on Twitter today by the developer, the artwork features characters from the universes of the World of Warcraft, StarCraft and Diablo. You can see Diablo himself in the middle, surrounded by Illidan, Arthas the Lichking, a Pandarian, and StarCraft trooper. 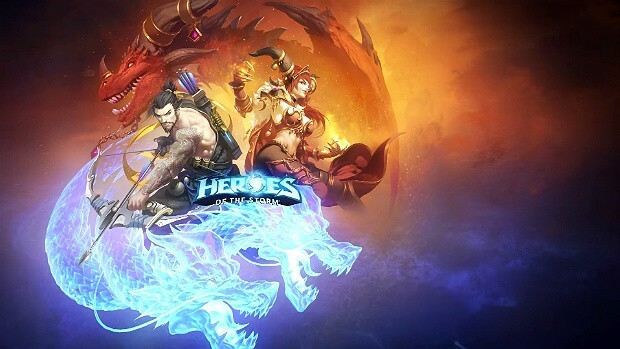 Heroes of the Storm was originally known as Blizzard All-Stars until the studio decided last month that it needed a new name. “Blizzard DOTA” was a custom map for StarCraft 2: Wings of Liberty that rung bells for Blizzard who decided on cashing the idea in. However, Valve wasn’t keen on letting go the Dota trademark so the studio eventually had to decide against using the name Dota and renamed it last month to Heroes of the Storm. You can check out the full high-resolution artwork below. More information on the game is expected to be revealed by Blizzard during their annual BlzzCon event which takes place this weekend.